Now, that may come as a surprise to some people, such as his wife, Courtney Mills Ervin ’94, for instance, but such is the trust that Archie inspires in the students he mentors and keeps up with long after they’ve graduated. Since 2011, Archie has been the vice president for institutional diversity at Georgia Tech. The role was brand new there, giving Archie free rein to establish institutional priorities, policies, programs and initiatives to enhance gender, racial, ethnic and social diversity among its faculty, staff and students. 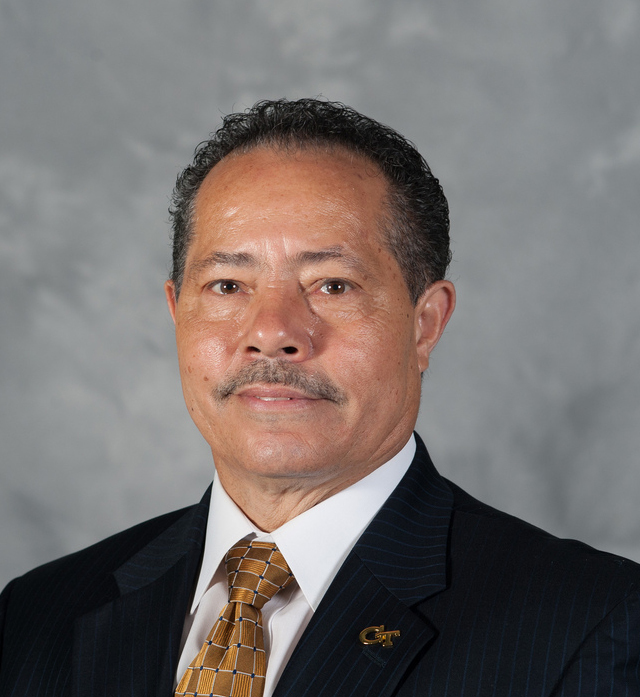 For the previous quarter of a century, though, Archie led Carolina’s minority recruitment programs, most recently as associate provost and chief diversity officer. He joined UNC’s staff in 1989, and over the next nearly 25 years, he recruited and supported the success of thousands of minority students. He calculates that while he oversaw Project Uplift, a program that invites high-achieving minority high school seniors to campus for a weekend to whet their appetites for Carolina, some 25,000 minority students were introduced to UNC. Of those, at least 5,000 enrolled. Perhaps opening students to opportunities means so much to him because early on in life, he saw so few for himself. The fifth of 10 children, and the first son, Archie grew up in the mountains of western North Carolina in Brevard. His life path seemed set — graduate high school, then go to work at the local paper mill. That’s what everyone in that community did. Until one day, when he was a teenager working a temp job, someone recognized his potential and asked, “Where are you going to college?” That early mentor opened him to the possibility of a college education, helped him enroll at Appalachian State and stuck by him to make sure he completed his degree. He was the first in his family to do so. Archie continued at Appalachian to earn a master’s degree in political science. Only after he joined the staff at UNC did he begin a doctorate in educational organizations and policy studies — and take up the mission of raising the horizon for others and supporting students on a path that they might not have dreamed possible. Upon receiving his doctorate, he was appointed director of the Office for Minority Affairs. In that role, he set about with vigilance ensuring that minority students, faculty and staff not view UNC as a historically white institution but as a campus where ability and the desire to achieve were rewarded regardless of race. He bolstered his outreach and recruitment efforts with campus support programs. Because of his work, UNC received national attention for consistently ranking among the best at attracting, enrolling and graduating black students and recruiting black faculty, many of whom hold endowed chairs. Archie chaired the Black Faculty/Staff Caucus for two terms in the 1990s, pushing the University toward better working conditions and advancement opportunities for housekeepers and groundskeepers, most of whom are black or Hispanic. He kept the Sonja Haynes Stone Center for Black Culture and History front of mind for administrators and alumni until the freestanding building finally opened in 2004. In 2002, Archie received UNC’s Outstanding Faculty/Staff Award. With a reputation for being as principled as he is relentless, Archie not only creates space at the table for minorities but ensures they have a voice and know how to use it effectively. He genuinely cares about his students and has an uncommonly personal touch in showing his concern that they thrive in life. Yet for all his doggedness in teaching students to be organized and become leaders of impact, he’s fun. Students stay in touch with him for years, and he continues to be their advocate. Thousands of Carolina alumni know he’s right.